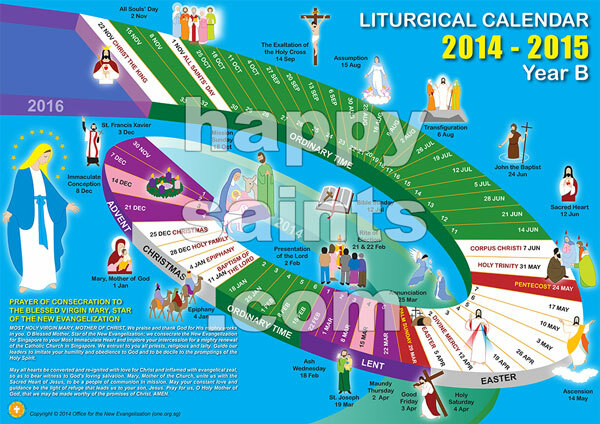 Last year, the Archdiocese of Singapore’s Office for the New Evangelisation (ONE) commissioned me to design a new 3-year cycle Liturgical Calendar for them. There are 3 calendars, one for each liturgical year, and they are distributed to all parishes as catechetical resource. You can see them in classrooms and notice boards in many of the churches in Singapore. This one shown here is the current Year B version.